University First Class Painters (UFCP) uses only top-quality paint brands from our certified suppliers: Dulux Paints and General Paint. For over 30 years, Dulux Paints has been a proud supplier to UFCP. 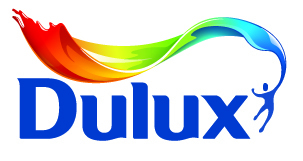 With over 220 corporate stores in Canada alone, Dulux Paints is one of the largest international paint suppliers in today’s market. Dulux has a simple commitment: ensuring customer satisfaction by providing top-quality technical knowledge, colour selection support and product recommendations. Dulux Paints representatives are happy to help our Student Managers with selection of the best paint for the job at hand. General Paint has been one of the leading manufacturers for high-quality, long lasting paint products for over a century. At University First Class Painters, we are happy to partner with and utilize their years of experience when choosing a paint product for each jobsite. General Paint is pioneering innovative products for today’s marketplace and strives to bring the best solutions to your painting problems. No matter where you are in the world or what surfaces you're coating, Sherwin-Williams provides innovative solutions that ensure your success. Since its founding by Henry Sherwin and Edward Williams in 1866, The Sherwin-Williams Company has not only grown to be the largest producer of paints and coatings in the United States, but is among the largest producers in the world.